The Joint Municipal Water and Sewer Commission took a significant step on Janaury 11th in planning for the future water needs of Lexington County by purchasing 47 acres on Lake Murray. The purchase is an investment in serving the county, where population growth and the need for redundancy in the water system mean additional treatment capacity will be necessary. 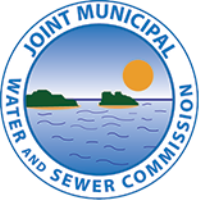 The Joint Municipal Water and Sewer Commission is a regional partnership of 11 members throughout Lexington County. For more information contact Donna Peeler, 785-3212.